We human beings share 98 percent of our genes with chimpanzees. 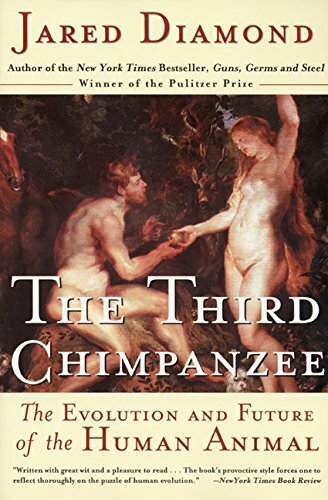 Yet humans are the dominant species on the planet -- having founded civilizations and religions, developed intricate and diverse forms of communication, learned science, built cities, and created breathtaking works of art -- while chimps remain animals concerned primarily with the basic necessities of survival. What is it about that two percent difference in DNA that has created such a divergence between evolutionary cousins? 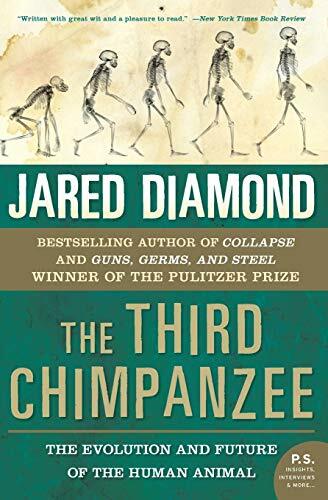 In this fascinating, provocative, passionate, funny, endlessly entertaining work, renowned Pulitzer Prize–winning author and scientist Jared Diamond explores how the extraordinary human animal, in a remarkably short time, developed the capacity to rule the world . . . and the means to irrevocably destroy it. 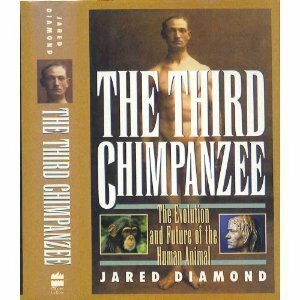 Jared Diamond is the author of the bestselling Collapse and Guns, Germs, and Steel. A professor of geography at the University of California, Los Angeles, he has been elected to the National Academy of Sciences, the American Academy of Arts and Sciences, and the American Philosophical Society. He is a MacArthur Fellow and was awarded the National Medal of Science.